With 2015 almost coming to an end, it’s time to look back on what a wonderful year this has been! 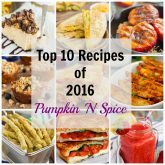 Pumpkin ‘N Spice has grown SO much this year, thanks to you! Without your support, kind words, emails, sharing your recipes on Instagram, following along on Pinterest, Twitter, Facebook and testing my recipes, I would not be where I am today. This blog started out as my hobby in 2014, and became my full-time job in the summer of 2015. I am truly blessed to have a job that I look forward to each and every day. Cooking, baking and sharing my recipes with you is my true passion, and I am extremely lucky to do what I love as my job. I work harder on this blog of mine than I’ve ever worked before, but it’s all worth it. So THANK YOU, friends! I have some amazing projects, recipes and more that I can’t wait to share with you in 2016! But now, let’s get down to business! 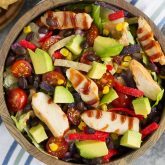 Instead of sharing my most popular recipes of 2015 (if you subscribe to my email list, you will receive a free e-book of the Top 10 Recipes of 2015), I thought I would share with you my favorite recipes. 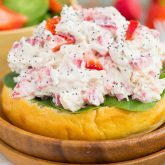 These are dishes that I make over and over again; recipes that friends and family often request; or recipes that the hubster just can’t get enough of. 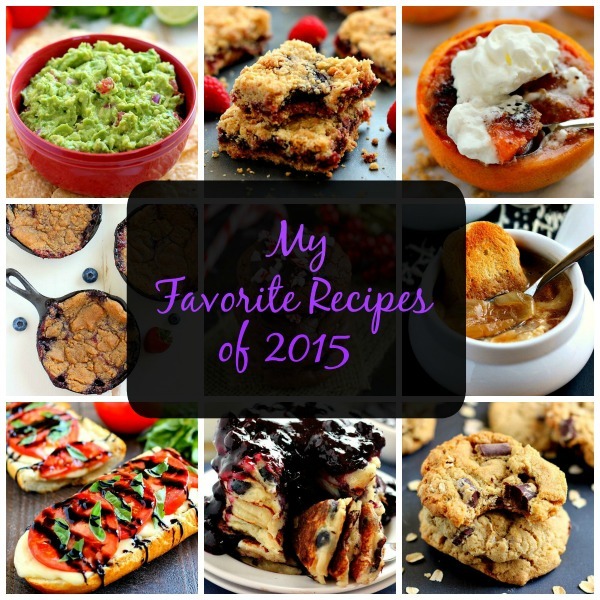 So grab that cup of coffee and enjoy my favorite recipes of 2015. I wish you all a very happy and healthy New Year! 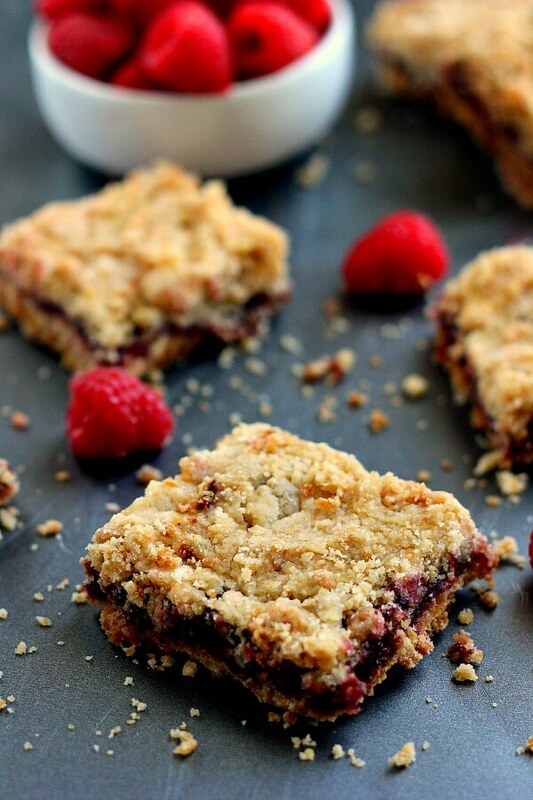 Raspberry Crumb Bars: Jam-packed with raspberries, layered on a buttery crust and topped with streusel, these Raspberry Crumb Bars taste like your favorite pie, in bar form! 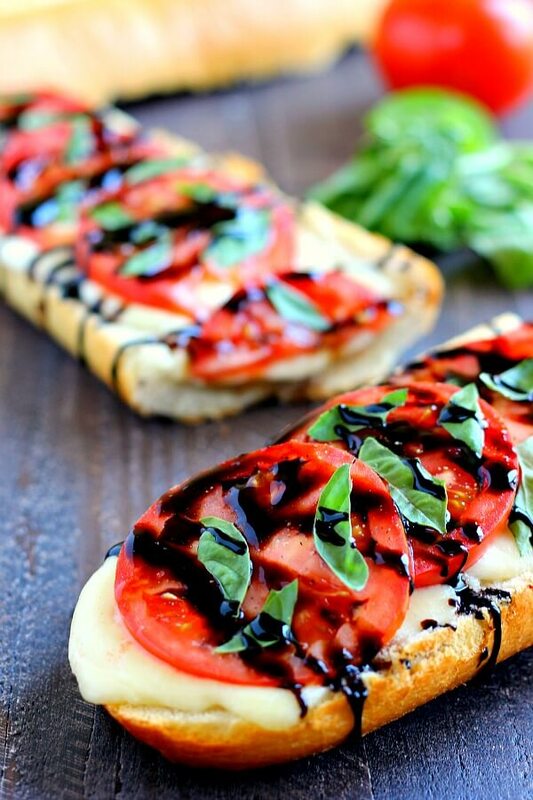 Toasted Caprese Garlic Bread: This bread is made with hints of garlic and topped with ripe tomatoes, fresh basil, and creamy mozzarella cheese! 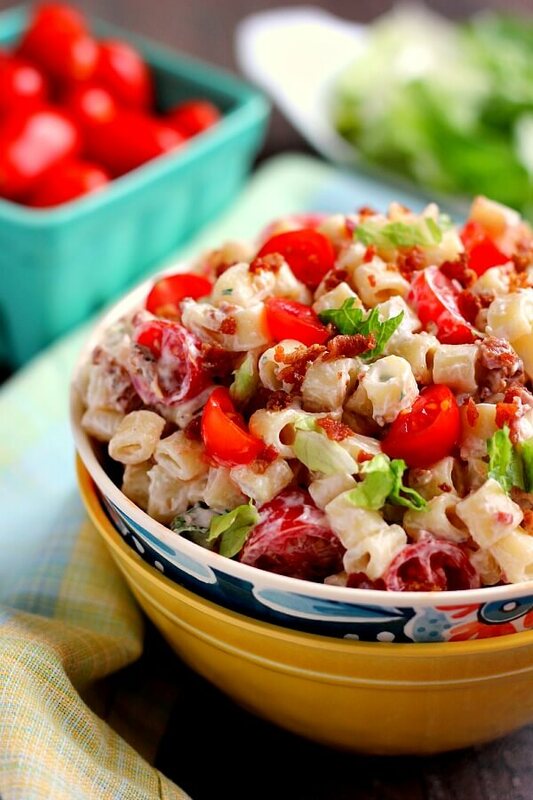 BLT Ranch Pasta Salad: Packed with tender pasta, a creamy dressing and BLT fixings, your favorite sandwich gets a makeover in with this easy salad! 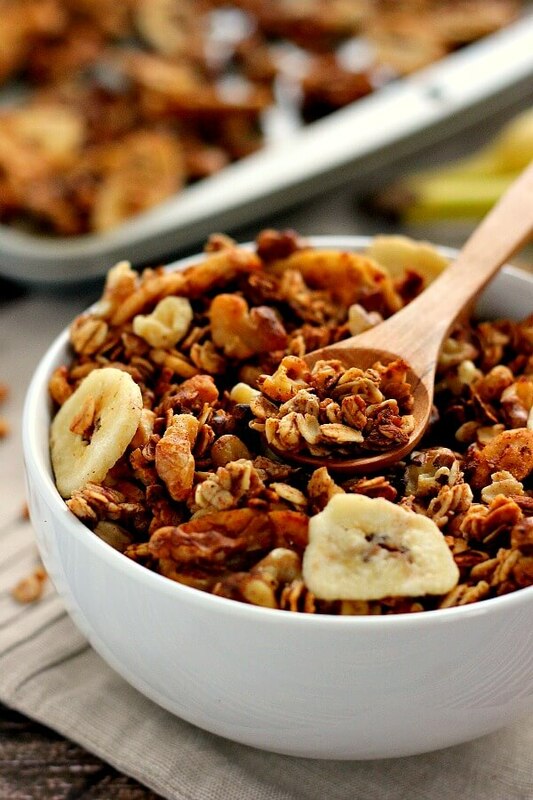 Banana Bread Granola: This granola is crunchy, hearty, and tastes just like banana bread! 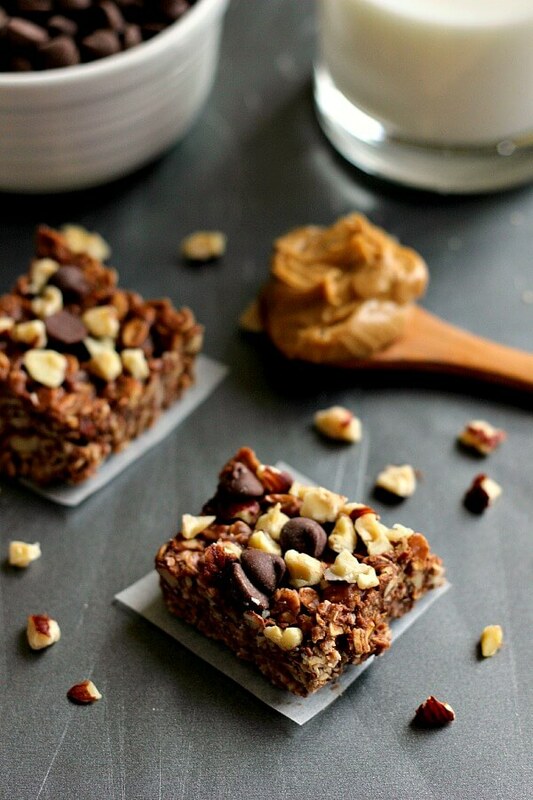 It’s the perfect breakfast or snack to keep you full and satisfied! 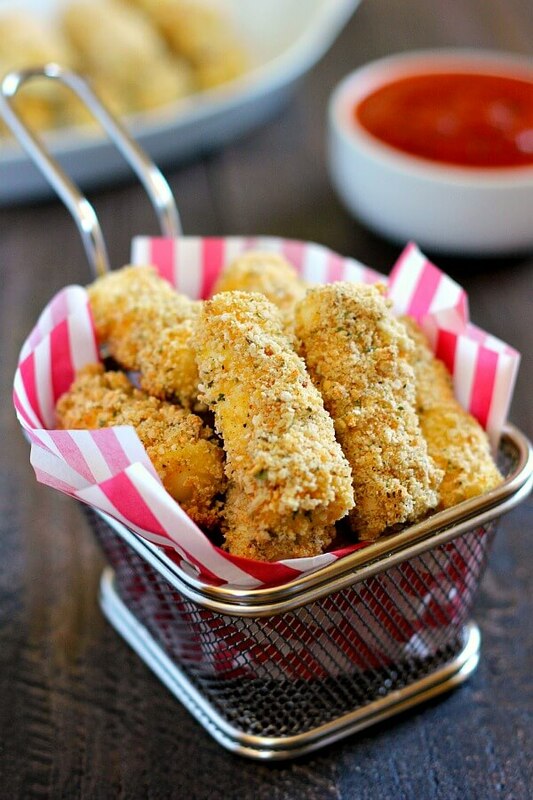 Baked Mozzarella Sticks: Full of melty cheese and packed with flavor, these mozzarella sticks are healthier than the fried kind and perfect to satisfy the munchies! 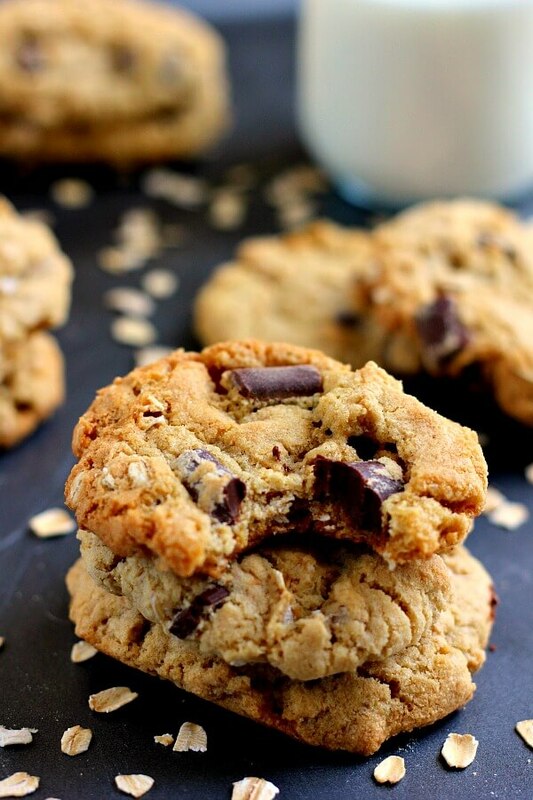 Chocolate Chunk Oatmeal Cookies: Soft, chewy, and jam-packed with chocolate, these oatmeal cookies are full of oats and hearty flavors! 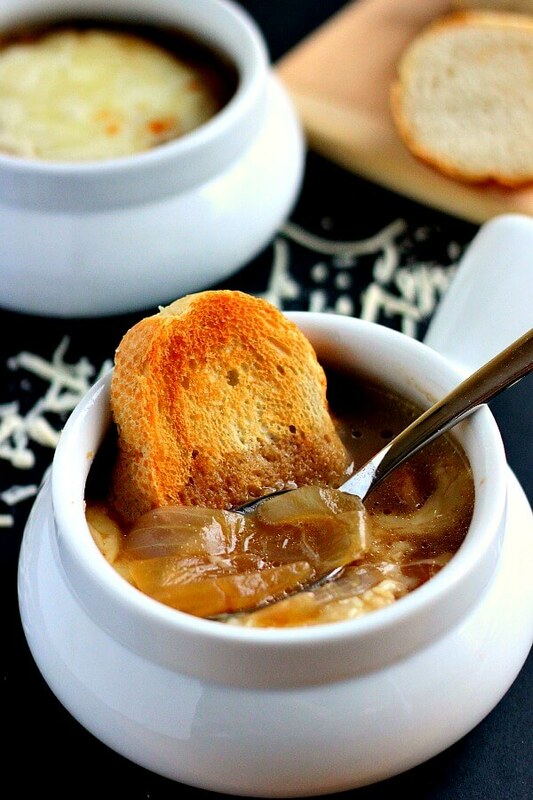 French Onion Soup: This soup is loaded with caramelized onions, a rich broth, and just the right amount of spices. 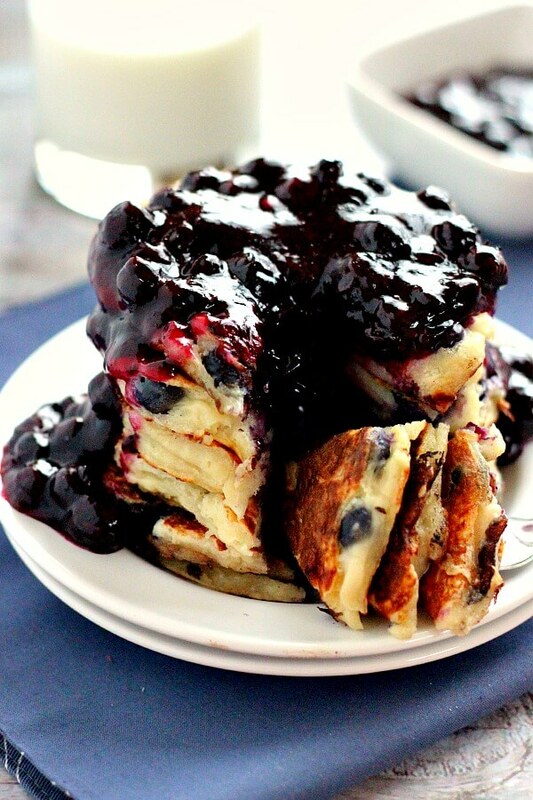 Blueberry Greek Yogurt Pancakes: These protein-packed pancakes are filled with plump blueberries, vanilla Greek yogurt and just the right amount of flavor. 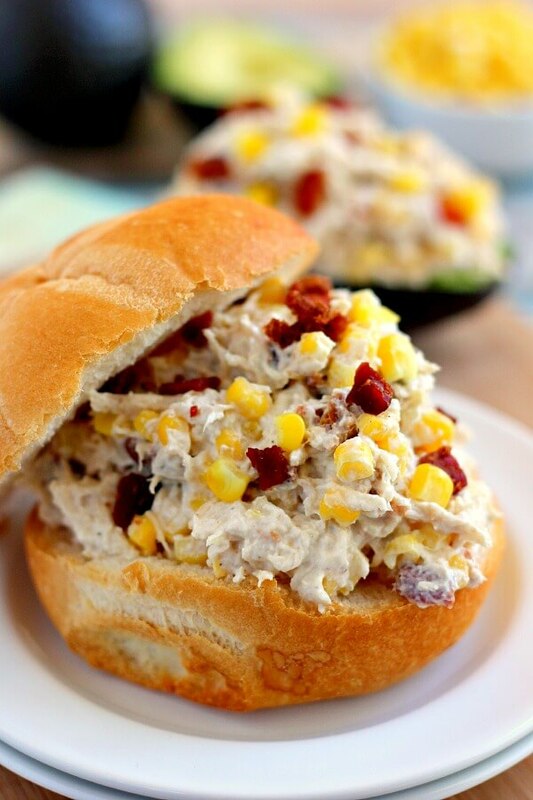 Lightened Up Zesty Chicken Salad: This chicken salad is filled with tender chicken, fresh bacon, and corn, combined with a light dressing! Coconut Oil Chocolate Hazelnut Squares: Jam-packed with chocolate, peanut butter, hazelnuts, and coconut oil, these squares come together in minutes and are an easy, no-bake treat! Chocolate Covered Potato Chips: These potato chips are the perfect combination of sweet and salty to satisfy your sweet tooth. 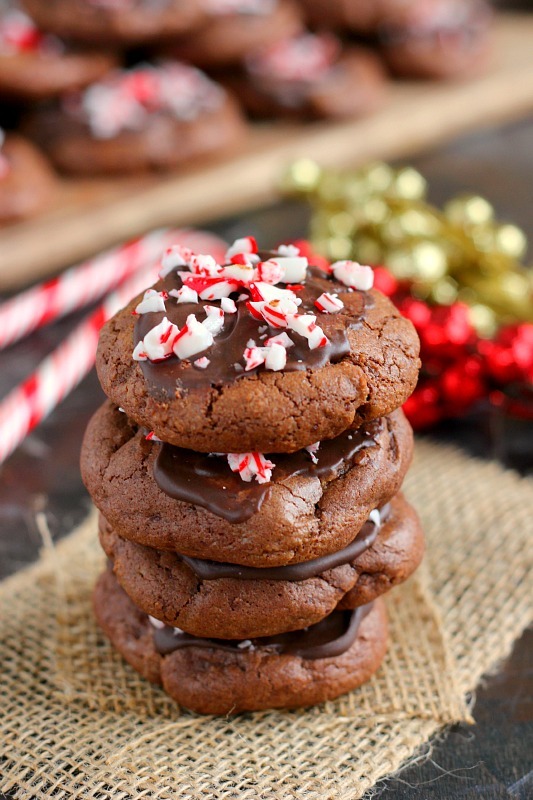 Peppermint Hot Chocolate Cookies: These cookies bake up soft, thick and taste just like hot chocolate! 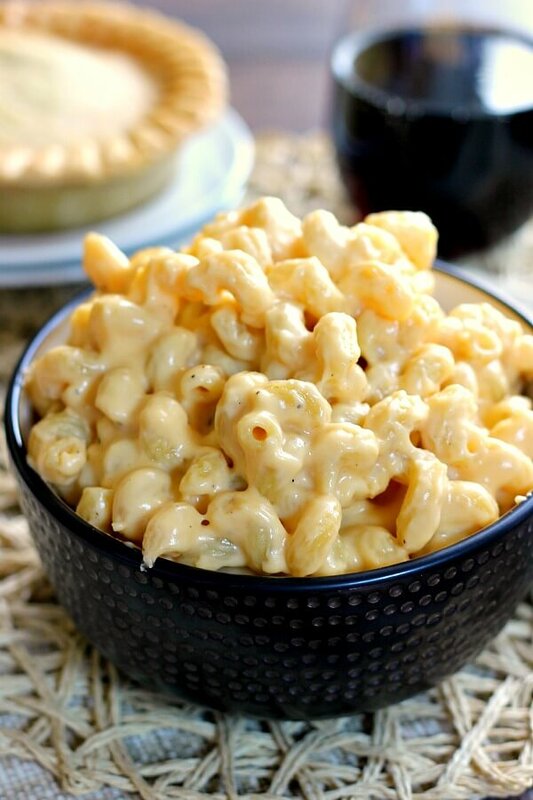 Creamy Stovetop Macaroni and Cheese: This macaroni and cheese takes just minutes to prepare, contains two types of cheese, and is creamy, hearty, and delicious! Caramelized Brown Sugar Grapefruit: Loaded with flavor, this grapefruit is broiled to perfection, resulting in a sweet and tangy treat that will tickle your taste buds! 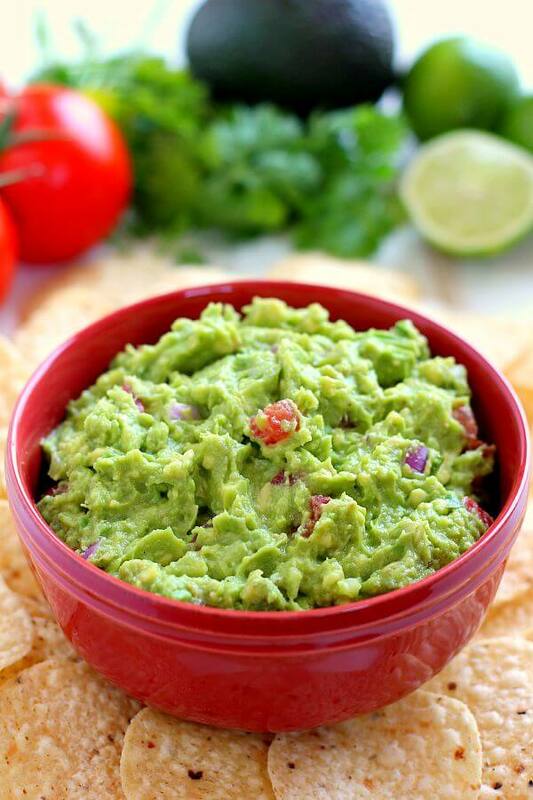 Zesty Guacamole: Filled with ripe avocados, fresh tomatoes, red onions, and spices, this guacamole is jam-packed with flavor and ready to eat in just five minutes! 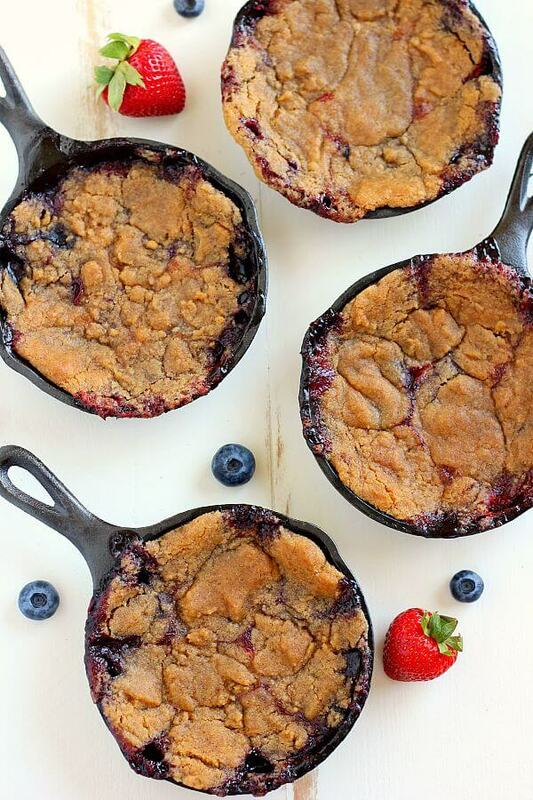 Berry Skillet Cobbler: This cobbler contains fresh strawberries and juicy blueberries that are combined with a hint of sweetness and baked with a brown sugar topping! Gayle!!! I love that you did a round-up of your fave recipes. . what a great idea!!!!! I LOVE your Roasted Caprese Garlic Bread and the stovetop mac and cheese!!! everything looks amazing! here's to a fabulous 2016!!!!! Thank you, Alice! I make that garlic bread all the time! :) Happy New Year! It's funny how a hobby can become a real passion. You've had a great year, Gayle! Happy 2016, and here's to things to come! Thanks for the kind words, Jess! Happy New Year! Congrats Gayle! I look forward to your blog every day - it's always an inspiration! 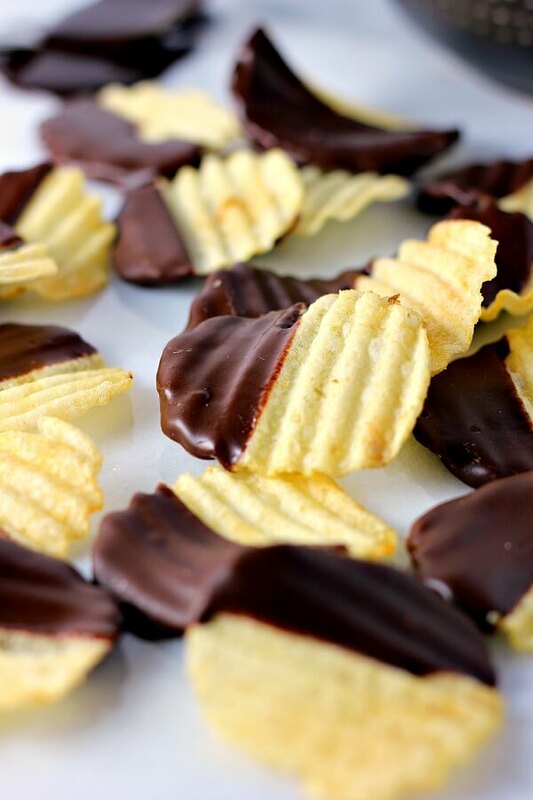 And now you have reminded me that chocolate covered potato chips are one of my faves. :) Happy New Year! Thanks, Kate! Those potato chips are one of the easiest recipes, but they always taste SO good! Happy New Year to you, too! These recipes all look SO good, Gayle! Your photography is amazing and makes me want to eat every single one! I remember when you posted those chocolate hazelnut squares and I can't believe I haven't made them yet. I've got to make some soon! You are too kind, Kristine! My photography definitely has a long way to go, but I'm getting there! :) Hope you have a wonderful New Year! Thanks for the sweet comment, Marcie! Happy New Year to you, too! Thank you, Kelly! Happy New Year to you, too! Thanks so much, Manali! Happy New Year to you, too! Thank you for always sharing awesome recipes with us Gayle! Glad we've connected! Love your blog! Have a Happy New Year! Thank you, Mira! Happy New Year! All the drooling going on over here! 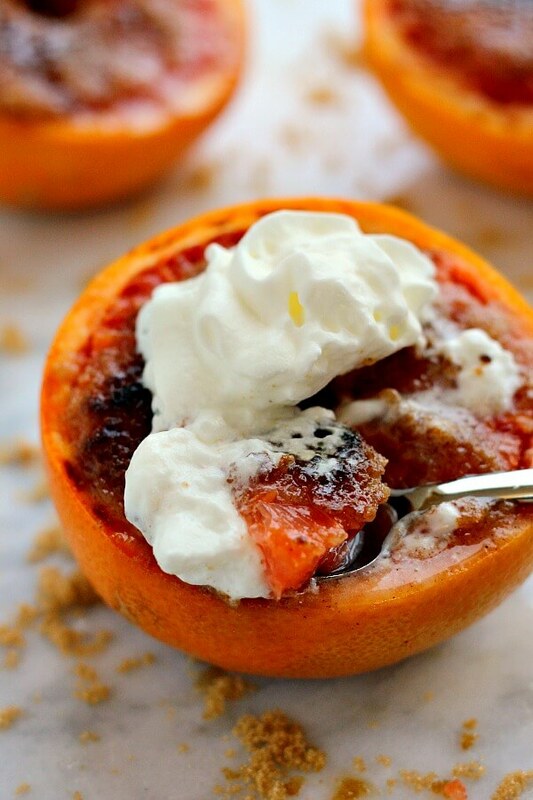 ;) I love all of these recipes and I'm especially excited to try that gorgeous baked grapefruit! Happy New Year, Gayle!! I can't wait to see what 2016 holds in store for you and your blog! Thanks for the kind words, Sarah! Happy New Year to you, too! Congratulations on such a successful and delicious year, Gayle! It makes me happy to see people fulfill their dreams and passions! You have a wonderful blog! Keep up the great work! Happy New Year, my friend! Thank you for the sweet comment, Annie! Happy New Year to you, too! There are so many recipes on this list I want to try. The first thing I try might have to be the caprese garlic bread or the mac and cheese. Yum! Happy New Year! Thanks for the kind words, Amanda! I hope you love those if you try them. Happy New Year! Oh wow, these all look so good! I am totally going for the raspberry crumb bars and the potato chips. Happy New Year, Gayle! 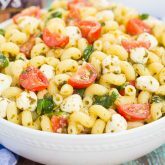 That list of your favorite recipes looks so delicious, especially that macaroni and cheese, blt ranch pasta salad, and those crumb bars, yum. Can't wait to try them. Thank you so much, Neeli! Happy New Year to you, too! What a great roundup collection! So glad to hear that in 2015 you began blogging full time! I love your blog and everything you do here =) Happy New Year! Thanks for the kind words, Shelby! Happy New Year to you, too! Happy New Year Gayle! I hope you had a great one :) Those caprese garlic bread are my favourite by far - the colours are just amazing. Thank you, Dannii! I hope you had a wonderful holiday and a happy New Year!